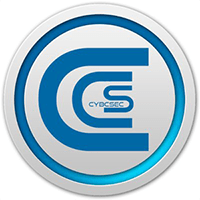 CybCSec has been marked as 'inactive'. This could be for a number of reasons, you can find out more about inactive coins in our F.A.Q. The CybCSec, XCS, decentralized digital coin was launched on 06/10/2017 and runs free of a single administration, such as a central bank. The decentralized crypto-currency is not mineable, so instead, you can buy XCS through a cryptocoin exchange. It utlizes the proof of stake (pos) consensus and POS 3.0 algorithm. To stay updated with the latest news from CybCSec, you can find them on Twitter and Telegram. We don't have any exchanges listed for CybCSec yet, check back soon! We don't have any wallets listed for CybCSec yet, check back soon! We don't have any debit cards listed for CybCSec (XCS) yet, check back soon! We don't have any price charts listed for CybCSec yet, check back soon!